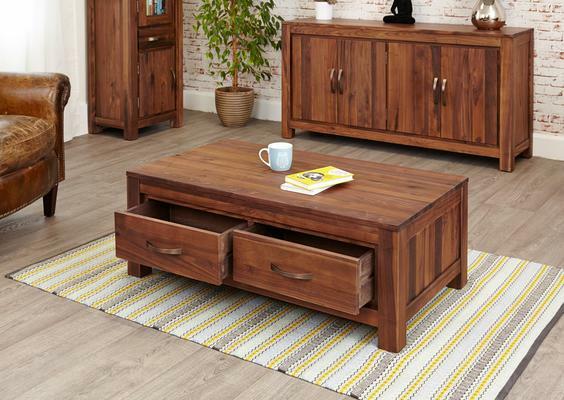 Low end coffee tables are perfect if you want a functional table without the intrusion to your space. 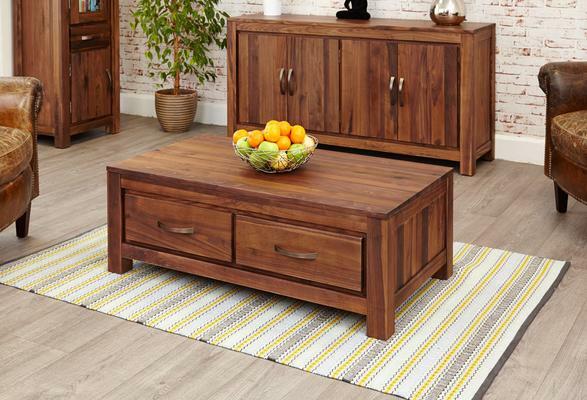 This Mayan Walnut Low Four Drawer Coffee Table combines low height, functional design and lovely aesthetic to complete your living space. 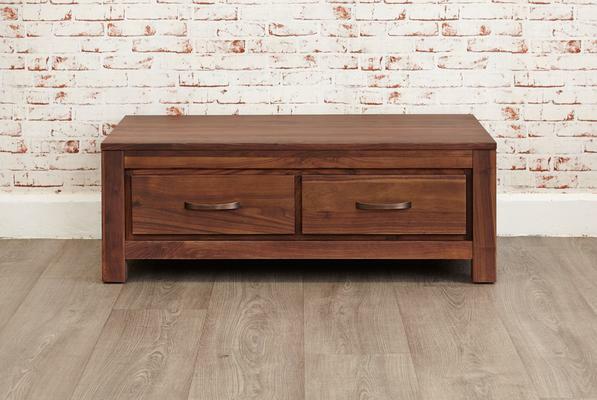 It's constructed from solid walnut hardwood which is guaranteed to be durable and long lasting. 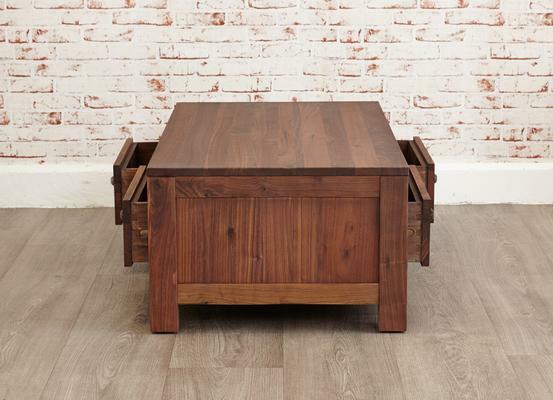 The table comes with a dense grain that shines through wonderfully against the satin lacquer. 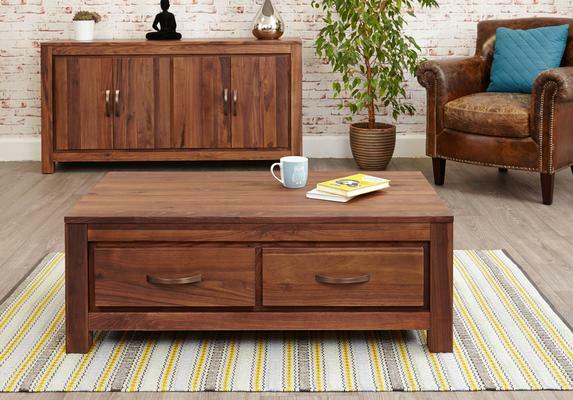 A smooth top surface leaves plenty of room for displaying a vase or other central piece on your table. Meanwhile, four drawers are added on the sides to serve as storage space for magazines, photo albums and more.